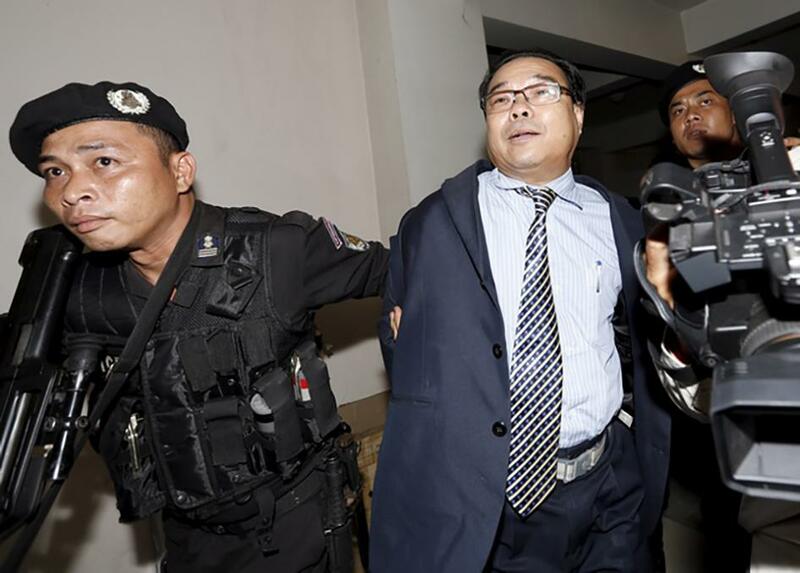 (New York) – Cambodian authorities should end the prosecution of an opposition senator who has been wrongfully charged with forgery and incitement for posting online an inaccurate version of a 1979 Cambodia-Vietnam treaty, Human Rights Watch said today. The next hearing in the case against Senator Hong Sok Hour is scheduled for October 2. Hong Sok Hour, a dual Cambodian-French citizen who represents the Sam Rainsy Party (SRP) in the Senate, was arrested on August 15 on public orders from Prime Minister Hun Sen. He ordered Sok Hour’s arrest after he posted a video clip on the Facebook page of Sam Rainsy, president of the main opposition Cambodia National Rescue Party, of which SRP is a founding party. The authorities denied Sok Hour bail, and he is being held pending trial. The judge in the case has refused to allow him to receive a specialist medical examination and possibly necessary treatment for hypertension and cardiac disease. There is no basis for forgery and incitement charges, which should be dropped and Hong Sok Hour immediately and unconditionally released. Hun Sen has turned an inaccurate historical statement into a criminal offense to crack down on the political opposition and demonstrate that he can arrest and imprison anybody, anytime. Cambodia’s donors should not let Hun Sen and his government get away with stifling free expression and the democratic process, but should jointly and publicly call for those practices to end. Most contentious was a sentence saying that Cambodia and Vietnam had supposedly agreed to “dissolve” the border between the two countries. Issues related to the border have been a matter of controversy and concern in Cambodia for many decades and have recently been the subject of an outpouring of public discussion, including by both government and opposition politicians. The government responded to the Facebook posting by disseminating the official Khmer-language text of article 4, which does not contain any reference to dissolution of the border. The discrepancy between the two texts is the basis for three charges against Hong Sok Hour: forgery via intentional alteration of a public document, knowing use of such a forged document, and incitement directly intended to generate “serious disturbance of the security of society” by such use. There is no evidence, though, that Hong Sok Hour himself created the inaccurate text, that he was aware of inaccuracies in it, or that his intention in making it public was to cause anything more than further discussions of the border issue. An examination of the language used in the two texts strongly indicates that the version posted by Hong Sok Hour is not a forgery, but a bad translation back into Khmer of a poor translation of the Khmer original into French or English. The procedures by which the authorities arrested Hong Sok Hour also raise serious concerns. The government asserted that because the video clip remained on Sam Rainsy’s Facebook page for several days, Hong Sok Hour could be arrested in flagrante delicto (in the act of committing a crime) and that therefore his parliamentary immunity as a senator from arrest, prosecution, and detention for expressions of opinions in the course of his senatorial duties did not apply. After the government announced that he would be arrested, Hong Sok Hour went to and later left the French embassy. 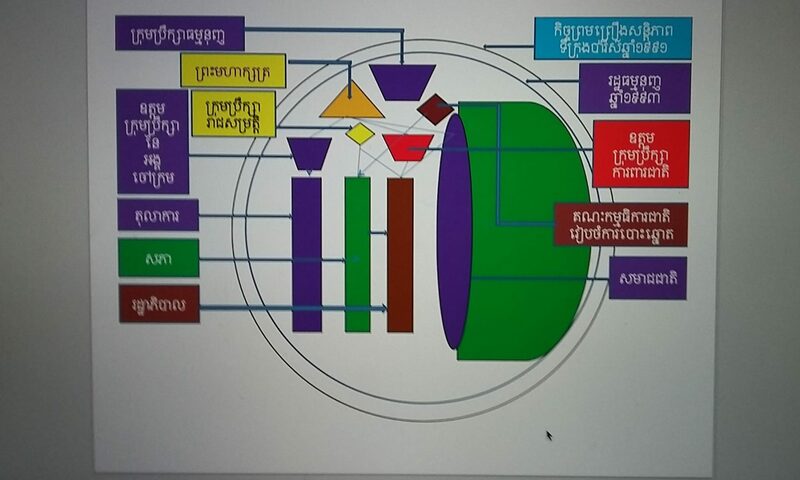 A heavily armed mixed force of counter-terrorism police, controlled by Hun Sen’s son-in-law Dy Vichea, and other forces carried out the arrest.